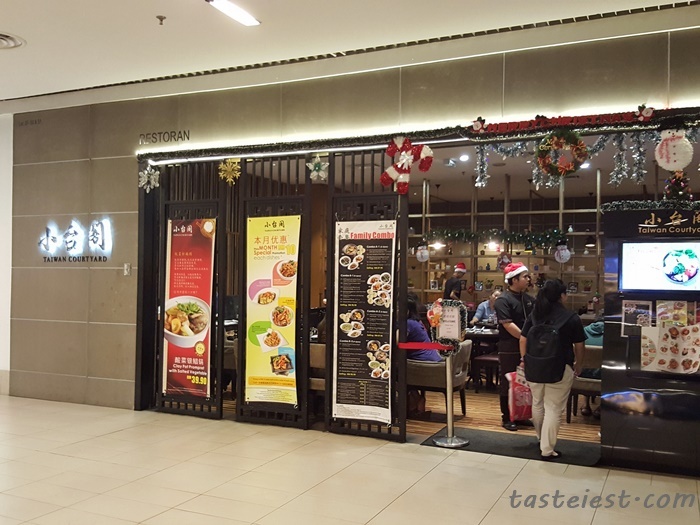 Taiwan Courtyard 小台阁 located at 2F Queensbay Mall offering huge variety of Chinese food specifically to Taiwan Food. 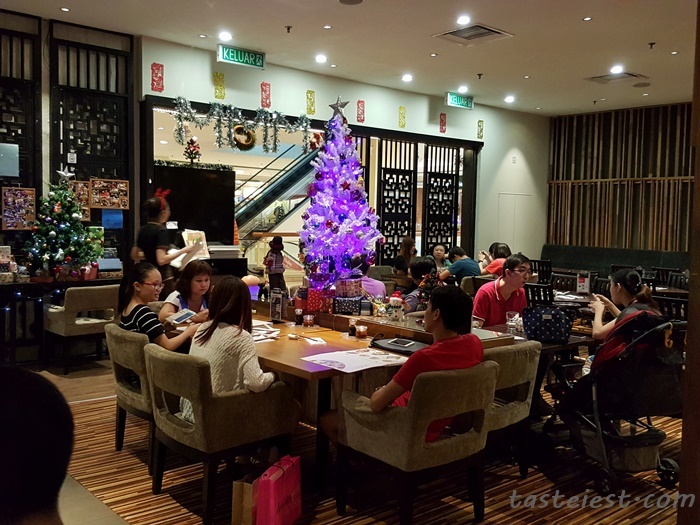 We are so lucky today to try out their on going promotion for Mini Steamboat (not so mini actually) and upcoming Winter Solstice 5 Color Tong Yuen. Every corner of the restaurant are now decorated with Christmas theme, it is so lovely. 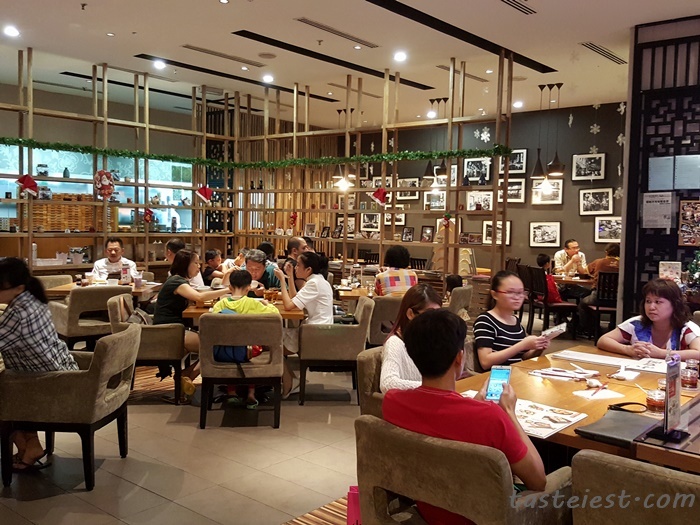 They do provide comfort seating area and the overall restaurant gave a very comfortable feeling. 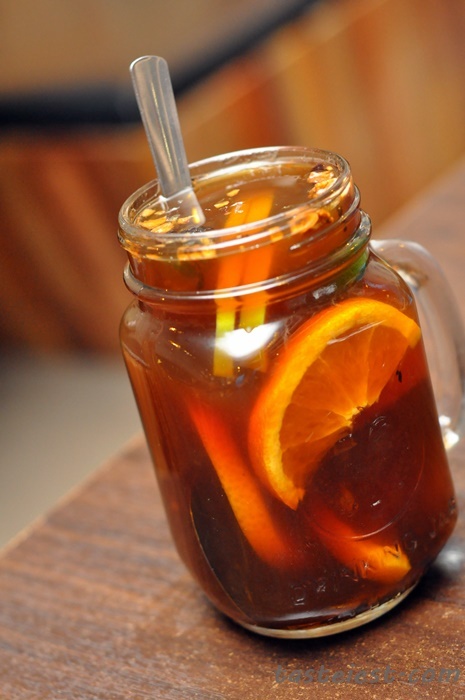 Mix Fruit Tea 什锦水果茶 RM9.90, a mixture of assorted fresh fruit with dry fruit served in hot tea. 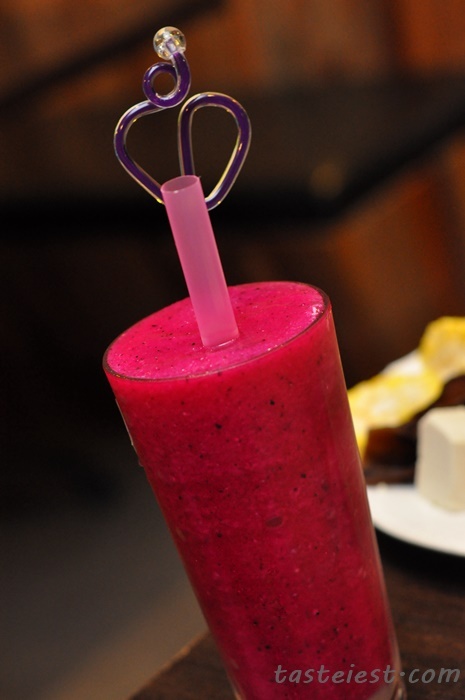 I live the drink so much as it has fruits fragrance together with tea bitter taste. Dragon Fruit Juice 龙珠果汁 RM10.90, if you taste the drink slowly you can taste a little bit of lychee flavor in Dragon Fruit Juice, later we found out that instead of typical raw sugar they use Lychee Sugar 荔枝糖 that gave a mild flavor of lychee fragrance. 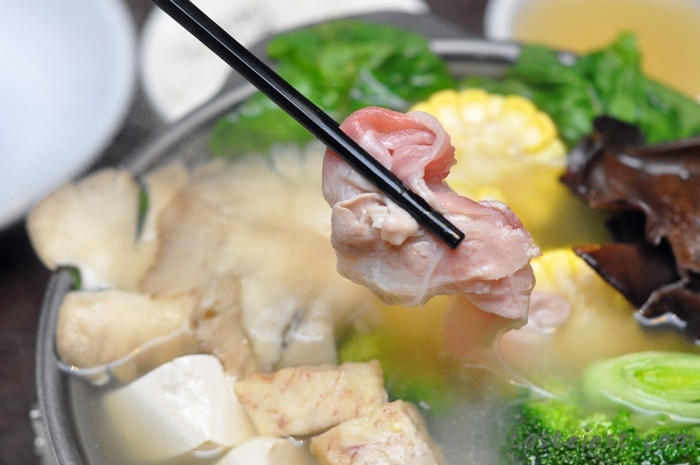 Mini Steamboat 迷你火锅 RM29.90 (Picture shown are 2 portion of slice pork for additional RM12), vege lover like us will definitely fall in love with this mini steamboat as it has many different type of healthy ingredients such as broccoli, corn, mushroom, tomato, yam, tofu, black fungus, vegetable and glass noodle. 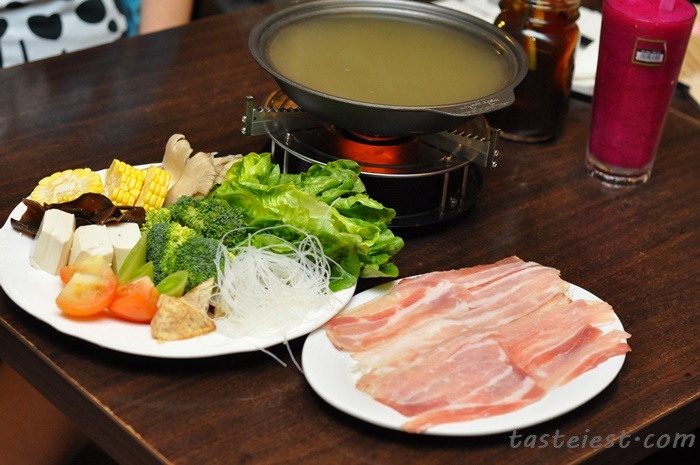 The portion is actually not so mini as it is more than enough to fill our stomach with some additional side dishes. 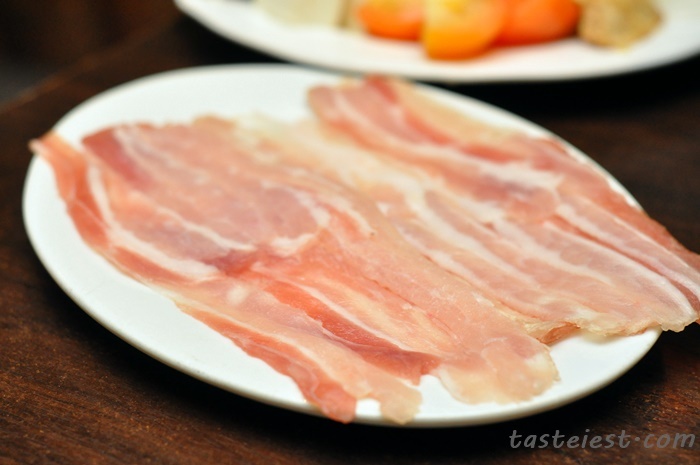 Slice pork are extremely fresh, dipping in for no more than 10 seconds to have the best texture and flavor. 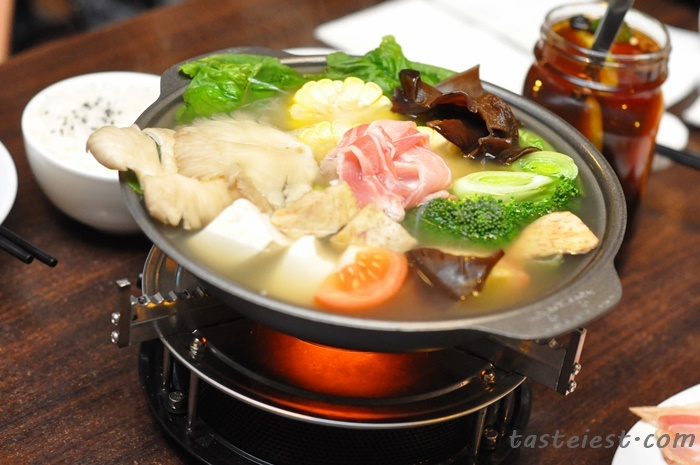 Fill up our steamboat with ingredients, what you see in this picture are half of the ingredients only. They have some kind of small stove that heat up extremely fast and it is so small and portable. Eight..Nine…Ten…ready! Dipping with the special sauce provided is really awesome. 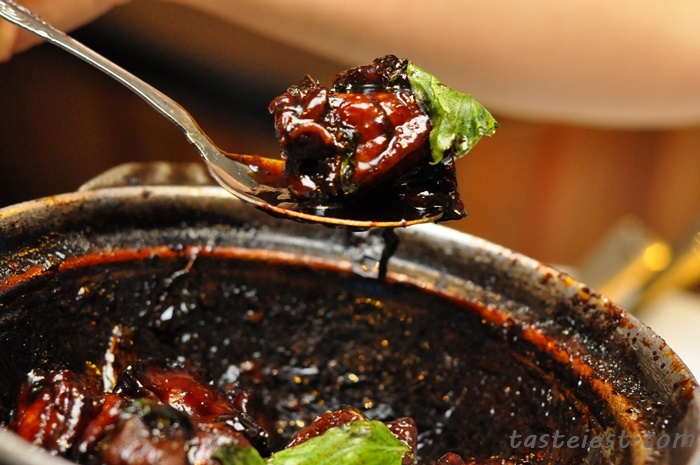 The sauce we had are 沙茶酱, it taste so good that you just have to dip everything with it. 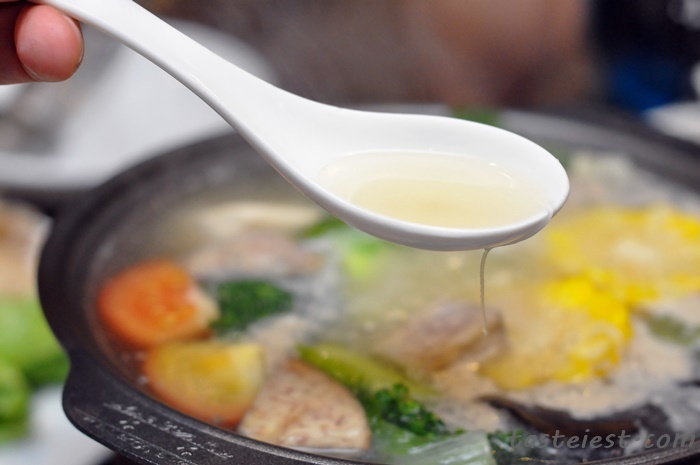 The soup itself are made from pork big bone and vegetable, it taste so refreshing and light. We are glad none of us feel thirsty although we eat all the soup. 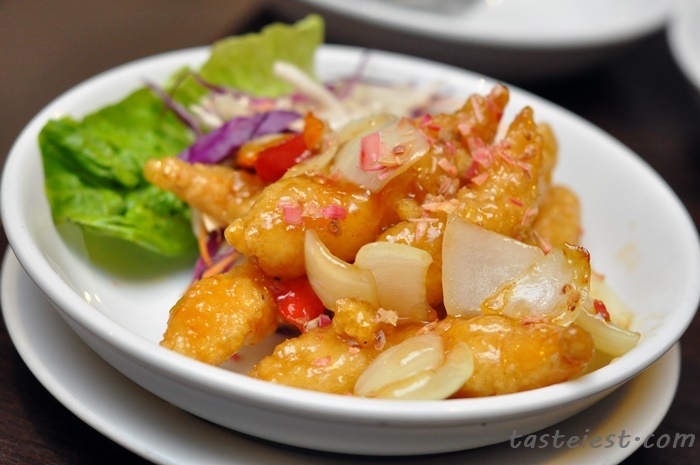 Stir Fried Prawns with Ginger Flower Asam Sauce 姜花炒虾球 RM24.90, every time we visit Taiwan Courtyard for sure she will order this dish. 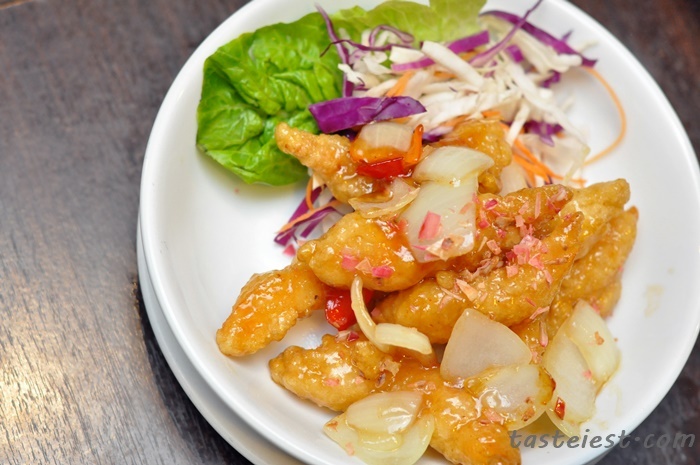 It just simply too good to resist, nicely deep fried prawn to golden color then stir fried with asam sauce and ginger flower to flavor. 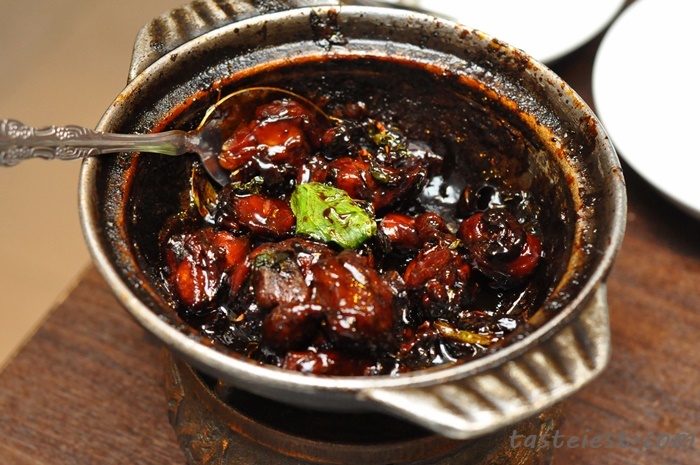 It taste sweet and crispy yet with the fragrance of ginger flower making it one of our favorite dish. 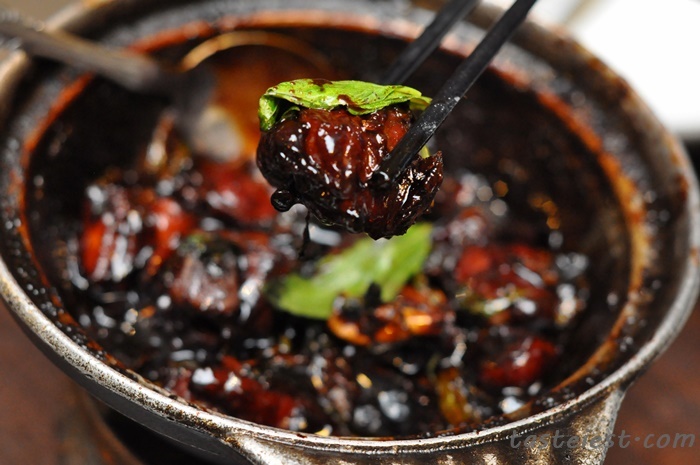 Authentic Taiwanese Style Stewed Chicken in 3 Varieties Sauce 正宗台湾三杯鸡 RM22.90, one of the very authentic 台湾三杯鸡 that taste sweet with a little bit of saltiness that make a good match with steamed rice. 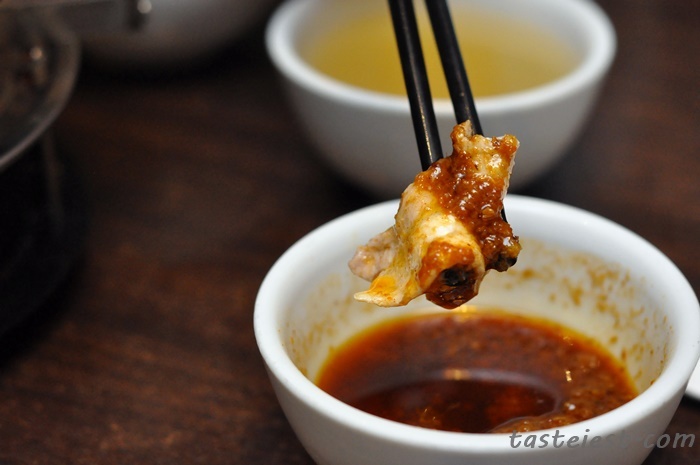 The chicken meat is cut into small pieces so that it can be stick with the sweet sauce and I just love the tender chicken meat so much. It do has basil and ginger fragrance in it as well. 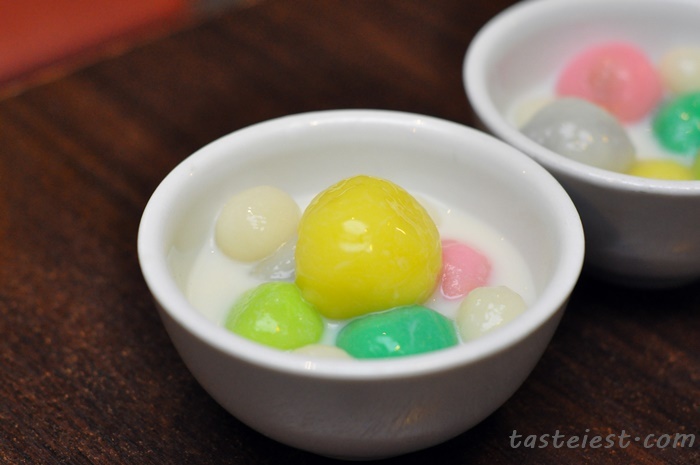 Winter Solstice 5 Color Tong Yuen 冬至五色汤圆, RM12.90 Medium RM18.90 Large. Add on Tong Yuen RM2 each. Flavour included are Lotus (Light Green), Cheese (Yellow), Black (Black Sesame), Pink (Red Bean Paste), Green (Pandan Lotus). 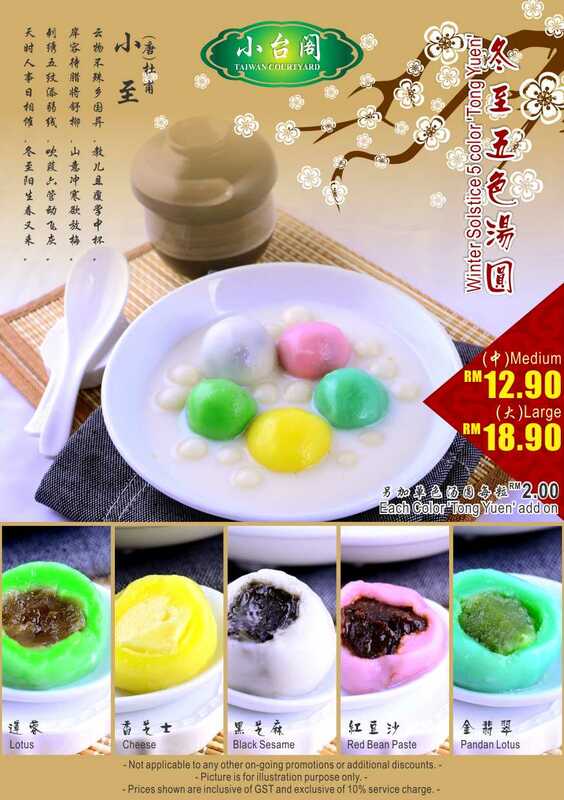 The promotion for Tong Yuen only available from 21-27 December only. So get it before too late. 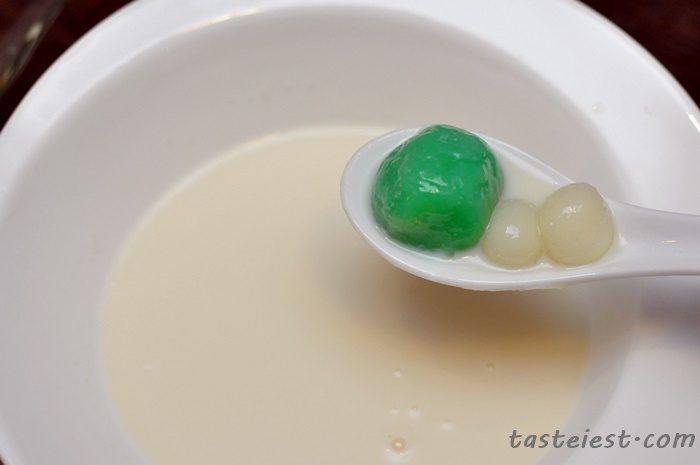 Soya milk use as base and not only the color Tong Yuen instead they do include many small original flavor Tong Yuen as well. 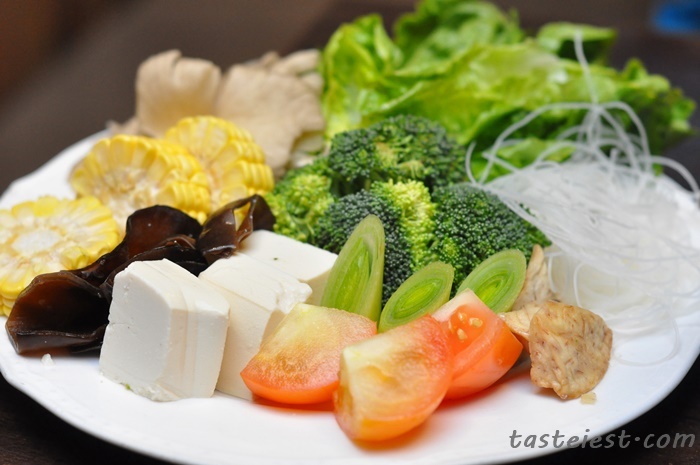 The five different color represent different flavor such as Pandan Lotus, Lotus, Red Bean paste, Black Sesame and Cheese. 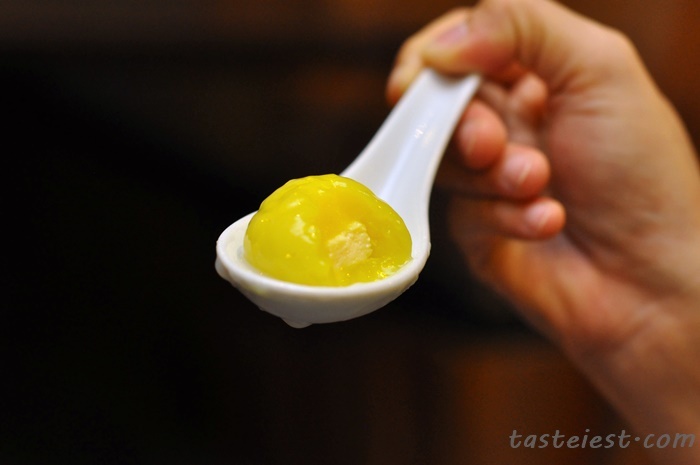 Tong Yuen are nicely done to extremely soft with a little bit chewy texture, filling are nice as well as it is not too sweet and balanced in flavor. From left to right, Green (Pandan Lotus), Light Green (Lotus), Pink (Red Bean Paste), Black (Black Sesame), Yellow (Cheese). BAD BAD BAD SERVICE !!!!!! VERY VERY POOOORRRR !!! U ALL WILL REGRET !!!!! 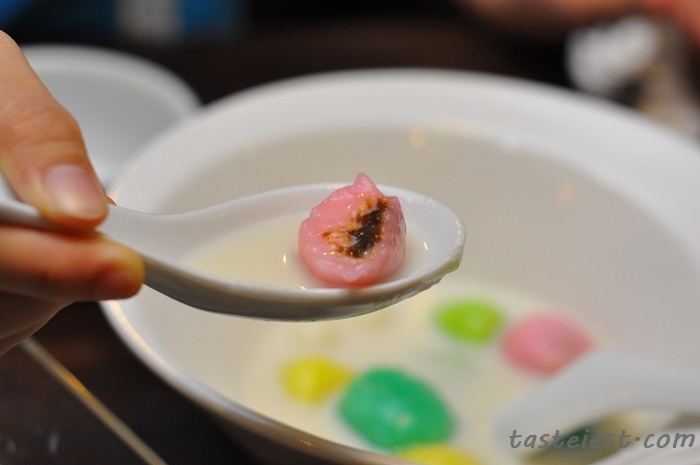 Ahhh, everything here looks so good and that lychee sugar sounds like a nice touch.